The Mix in Johannesburg is adjacent to one of the few remaining heritage structures from old Sophiatown: the AB Xuma House – once belonging to Dr Alfred Bitini Xuma, a president of the African National Congress in 1940 – which is now a museum. Opened in June 2015, it includes the new Trevor Huddleston CR Memorial Building, which is targeting a 5-Star Green Star SA Public and Education Buildings (PEB) certification from the Green Building Council of South Africa (GBCSA). 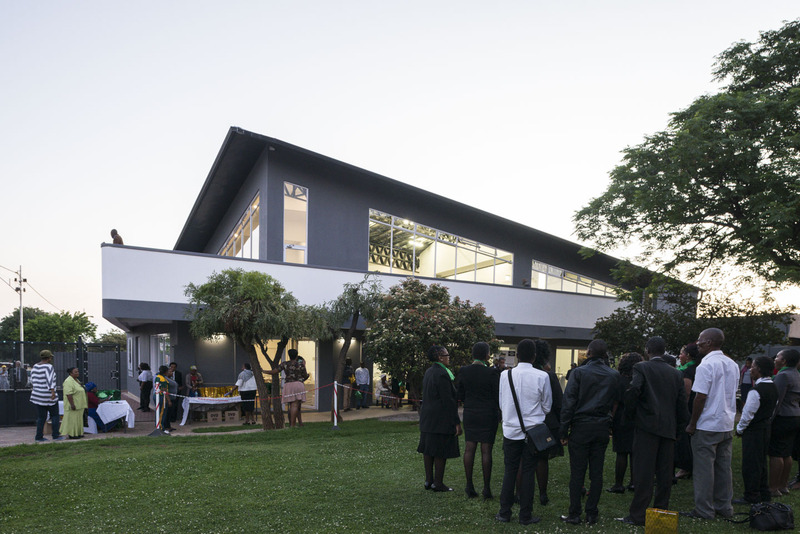 Comprising a series of multi-functional indoor and outdoor spaces, by day the building accommodates the Sophiatown Green Incubator, an initiative that connects young people in the historic western-area neighbourhoods to entrepreneurship opportunities, including training and enterprise incubation. By night, the centre harks back to the area’s cultural past by transforming to a performance venue hosting film, theatre, dance and arts ventures. 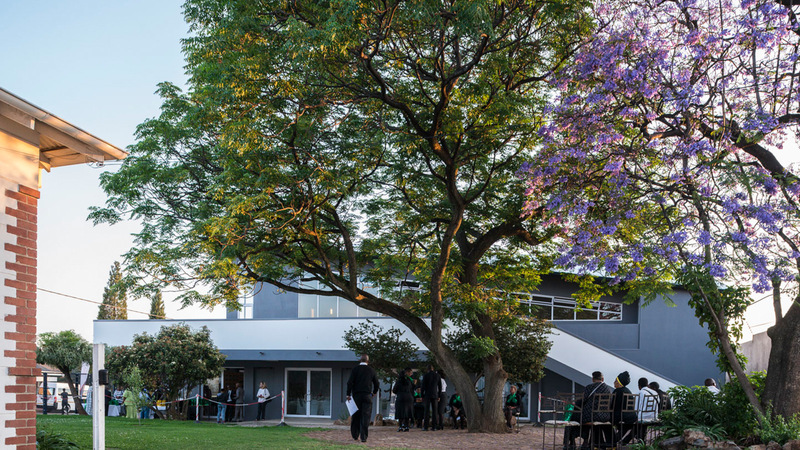 The new building is a contemporary interpretation of traditional 1940s Sophiatown building typologies and includes a large stoep along the northern façade, onto which the training and performance spaces of the building open. This activates the street edge of the building and provides an outdoor public space for use by building users and members of the local community. Because of a tight budget, green-building consultants Solid Green have undertaken the project’s Green Star SA certification process on a pro bono basis. Reuse of a previously developed site. LED lighting and energy-efficient office equipment run off photovoltaic panels. Rainwater harvesting from the roof for irrigation. Low VOC (volatile organic compound) finishes. Passive natural ventilation (no mechanical ventilation used). For more information on The Mix, visit the website.